Our elegant Standard rooms come furnished with a queen sized bed with lush Royal Suites linens, a functional work desk, and a sleek black tiled bathroom that accommodates a shower tub and complimentary ReVolve toiletries. High speed wireless internet access and a 40 inch flat screen cable TV are just some of the room amenities that we have to offer. All are non-smoking and pet-friendly. 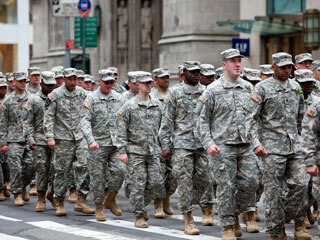 A valid credit card will be needed at time of reservation to guarantee it for late arrival. Please be advised that your card will be charged for the amount of a 1 night stay for stays that are more then 7 nights. Cancel at least 72 hours prior to arrival to avoid a 1 night(s) cancel penalty charge. Please be advised that your card will be charged for the amount of a 1 night stay for stays that are more then 7 nights. 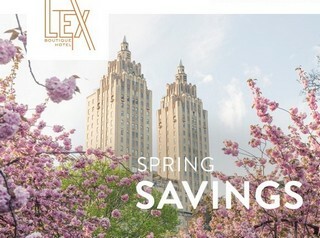 Spring into Summer and let LEX put a little extra pep in your step with 20% off your next stay in NYC. 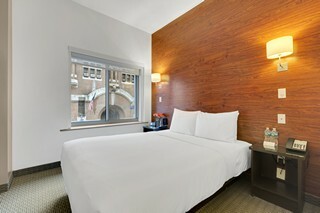 Book by June 15th on travel between now and August 15th and save on your next NYC stay. Blackout dates may apply. Offer cannot be combined with any other discount or special promotion. A valid Credit Card is required to confirm your reservation. Please be advised that your card will be charged for the amount of a 1 night stay for stays that are more then 7 nights. 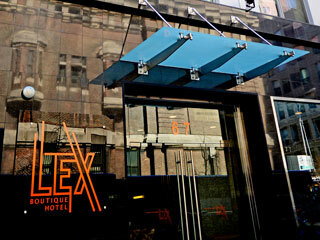 The Lex Hotel NYC loves to reward business travelers. Rates are subject to blackout dates, and cannot be combined with any other promotion, discount, package or special offering. 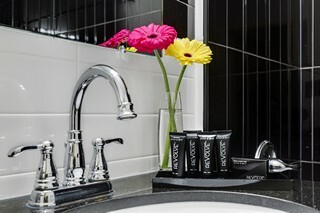 10% off our Best Available Rate with your valid AAA, AARP or CAA Card. Please present card at check in. Government Per Diem Rate Includes Daily Continental Breakfast and Complimentary WIFI Valid Government ID required. 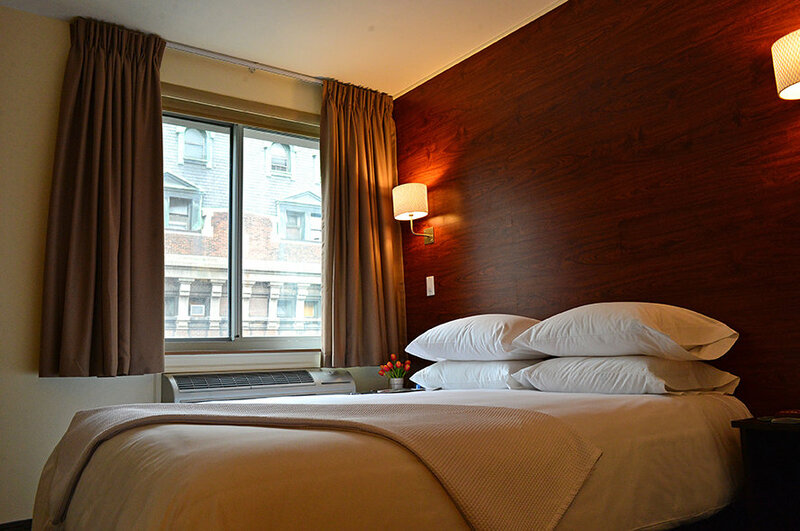 Set in Manhattan's historic NoMad neighborhood just a stone's throw from Madison Square Park and Baruch College, Lex Boutique Hotel ushers in a new era of modern boutique style. 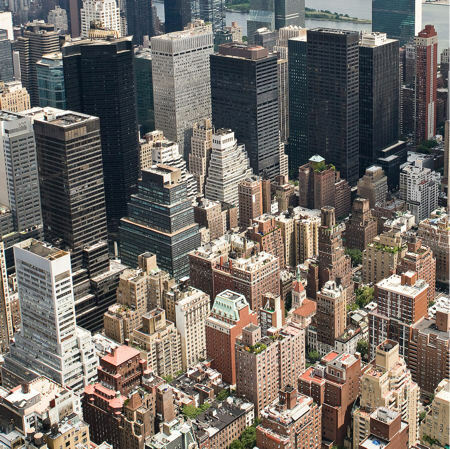 Named for its convenient Lexington Avenue location, this fresh, youthful newcomer has an affordable, approachable style that resonates with budget-minded travelers who appreciate big city experiences over expensive hotel rooms.